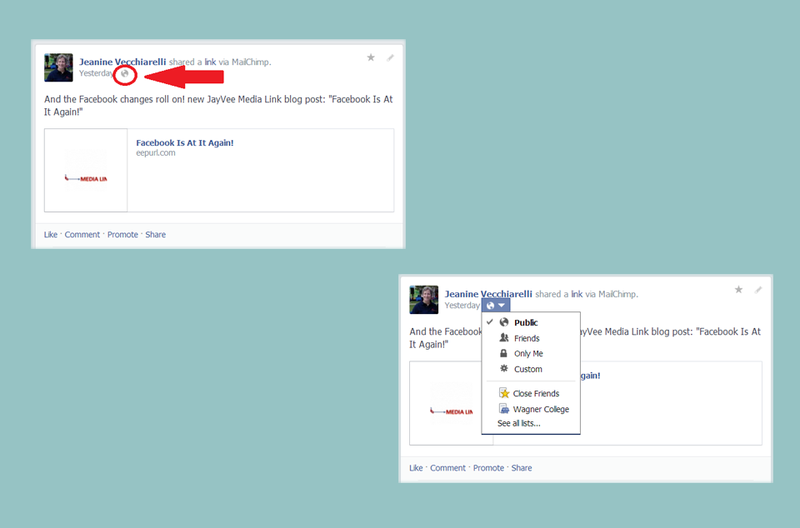 As of last week all Facebook profiles are searchable. Previously they could be set so they did not show up in search. That capability has been removed for all except minor users in order to augment graph search’s ability and accuracy. Importantly, graph search will continue to honor the privacy settings we configure for our timeline posts. And any person we have blocked will still be unable to see our profiles. For those who wish to retain as much privacy as possible, the best defense is to be more vigilant than before regarding profile settings. We must set them as we desire, and then check them often. Facebook’s continuous changes commonly cause a shift in those settings. Sometimes they are reset when we share others’ posts that were originally shared publicly. To be safe, we must get into the habit of looking at the privacy setting of every status update we share before hitting the post button. The setting can be changed after we share, too. But it is best to look beforehand. It takes but a couple of seconds for an unintended reader to save our information if he/she so desires. We lose control over our post if that happens. 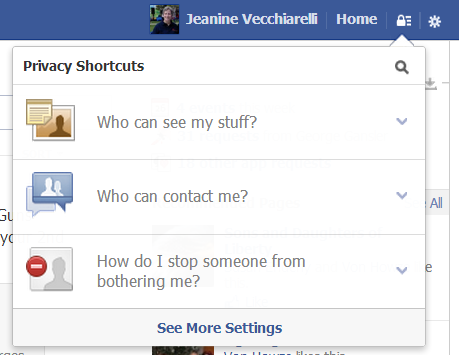 How do you feel about your personal Facebook profile being searchable? Will it affect your behavior on the platform? Please share your thoughts in the comments section below. This entry was posted in Facebook, Graph Search, privacy, Social Media Management/Marketing and tagged Facebook, graph search, Jeanine, privacy, Social Media Management/Marketing, Vecchiarelli by Jeanine Vecchiarelli. Bookmark the permalink.